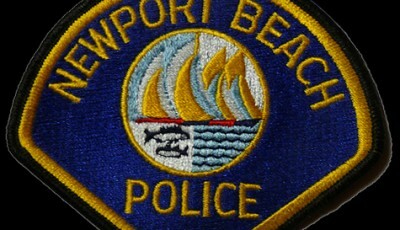 A series of four residential burglaries in the Dover Shores area were reported to the Newport Beach Police Department on Nov. 7 and 8. Police warned residents in an alert this week about a series of residential burglaries that took place within a two-day time frame earlier this month in the Dover Shores area. 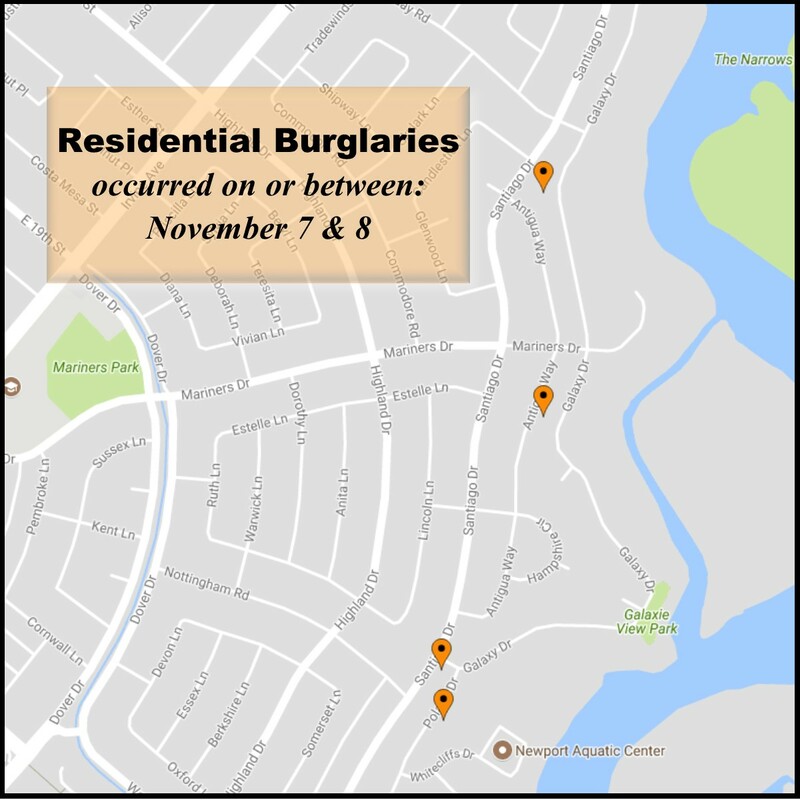 Between Nov 7 and 8, four home burglaries on Polaris Drive, Antigua Way and Santiago Drive were reported to the Newport Beach Police Department, according to a Nixle message shared with residents on Tuesday. The unknown suspect entered most of the victims’ houses by breaking a window or cutting a screen window, typically while the homeowners were away. The stolen items include a watch, purse, gun and jewelry. The first occurred on Nov. 7 between 4 p.m.. and 9:50 p.m. in the 1200 block of Polaris Dr. The suspect shattered a window, moved a nightstand and crawled into the master bedroom. The burglar shut the bedroom door, “possibly to stop the victim’s large dog from entering,” and ransacked the bedroom and closet. After taking some jewelry and a gun, the suspect fled. The residents were not home at the time. That same night, at 9:11 p.m. in the 1700 block of Antigua Way, an unknown suspect climbed up onto the upstairs balcony and used a decretive concrete block from the yard to shatter a hole in a French door panel. The victim was home, heard the noise and ran upstairs. When she got there the suspect had already stolen a watch and purse and fled, possibly realizing someone was home. Sometime between the first burglary and 11:20 p.m. the next day, Nov. 8, an unknown suspect burglarized a home in the 1200 block of Santiago Dr. A window facing the back yard was found cracked but intact within the frame. The suspect forced open a crank style window, which lead into a bathroom. After cutting the screen, the suspect climbed in and ransacked the master bedroom, an office and a second bedroom, stealing some jewelry. It was discovered when one of the victims returned home in the morning. According to police, “a third family member was possibly home asleep when the burglary occurred and her bedroom was not ransacked.” This resident reported hearing a loud “pop” around 3:03 a.m. The last reported burglary in the series was around 7 p.m. Nov. 8 in the 1500 block of Antigua Way. After being out of town for several days, the victims returned home to find a rear patio door shattered. It didn’t appear that the suspect had entered the home because there was a large piece of furniture near the broken window that had not been moved. Nothing was reported stolen. Police also included safety tips in the message and encouraged residents to call NBPD for a “Vacation Check” while away. For more information, call (949) 644-3681 or visit nbpd.org. Report all suspicious activity by calling (949) 644-3717.